For a century and a half, local residents have used the park system established by the designs of Frederick Law Olmsted. 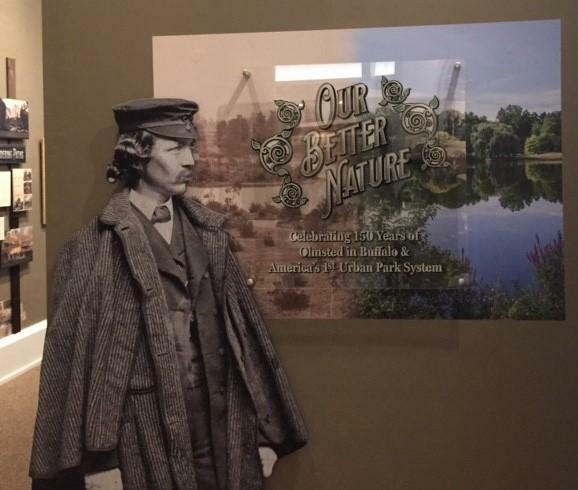 A new exhibit probes the question, Who was Olmsted? A long unused house at one of Delaware Parks’ entrances is getting restored. Bank of America and the Greenway Fund are providing grants to back the project. If you use Delaware Park, the Buffalo Olmsted Parks Conservancy wants to hear what you would like to see done - or undone - to the park. 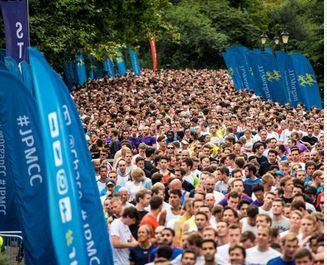 Organizers report over 14,000 runners and walkers have registered for tonight's J.P. Morgan Corporate Challenge. According to race director Melina Buck, nearly 400 companies have organized teams for the annual event in Delaware Park. The race begins at 6:45 pm on Amherst Street near Nottingham. The race route runs south on Delaware Avenue to Gates Circle before returning to the finish line in Delaware Park. Race director Melina Buck discusses tonight's Corporate Challenge with WBFO. 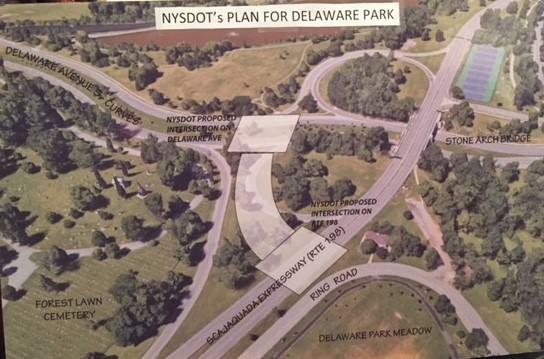 Several Buffalo Common Councilmembers want the Kensington Expressway added to the studies currently being conducted by the state Department of Transportation on the Scajaquada Expressway through Delaware Park. A nationally recognized expert on livable transportation says the Scajaquada Expressway is a small part of a larger need for land-use planning in this area. Ian Lockwood visited at the invitation of the Buffalo Olmsted Parks Conservancy to look at the park road, as the state Department of Transportation deadline for comment approaches. 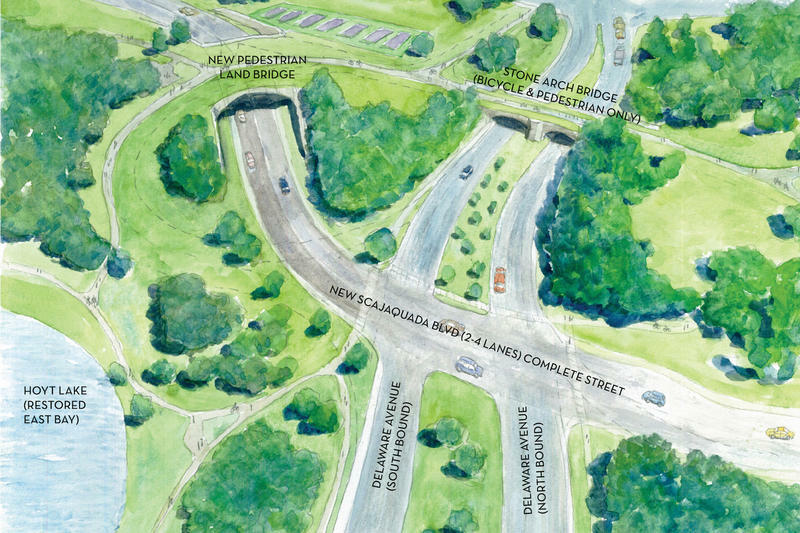 Reconstruction of the Scajaquada Expressway is slated to start this summer, but that has not settled neighborhood views on the New York State Department of Transportation's plan. 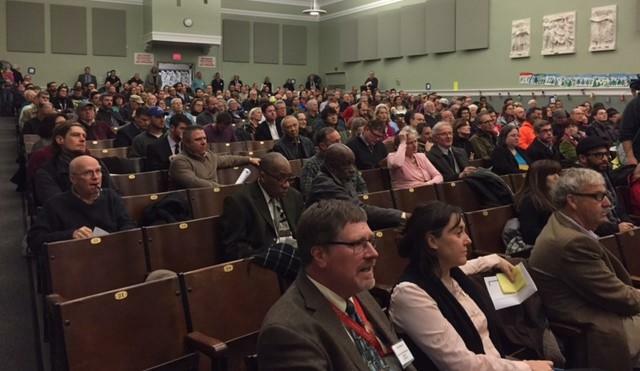 A crowded public meeting Wednesday night was generally opposed to the plan. With over 7 million views of its website in 2016, it's clear that Buffalo Rising has connected with the community. Newell Nussbaumer and Jessica Marinelli believe their editorial focus on publishing solution-based stories is key to that success. On WBFO's Press Pass, they highlight two recent examples: bringing an architectural gem to the city and re-connecting a divided Delaware Park. Newell Nussbaumer and Jessica Marinelli of Buffalo Rising discuss local issues during WBFO's Press Pass. 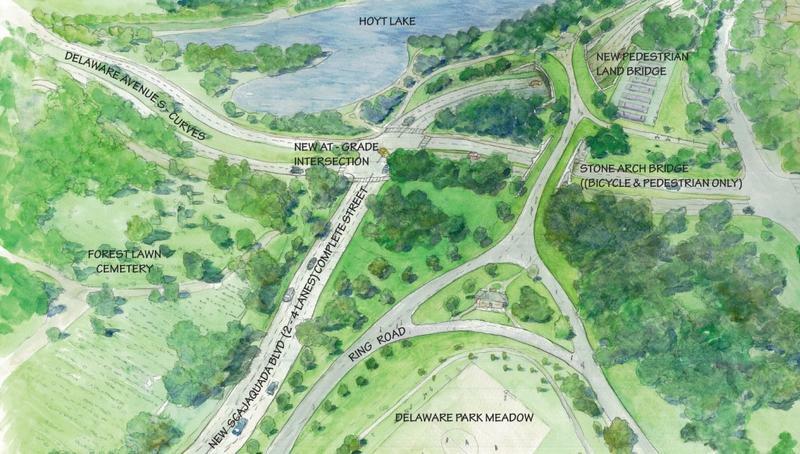 Time is of the essence for re-designing parts of Delaware Park. 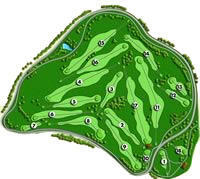 That is according to civic leader Kevin Gaughan, who is asking the Buffalo Olmsted Parks Conservancy to meet and move forward his plan to have legendary golfer Jack Nicklaus improve the golf course. 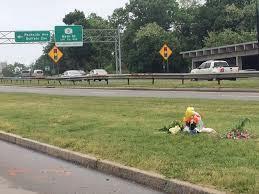 The New York State Department of Transportation has a plan for the conversion of Route 198 from an expressway to a slower-moving roadway. The Buffalo Olmsted Parks Conservancy, in partnership with several local cultural institutions, believes it has a better plan and introduced it on Monday. 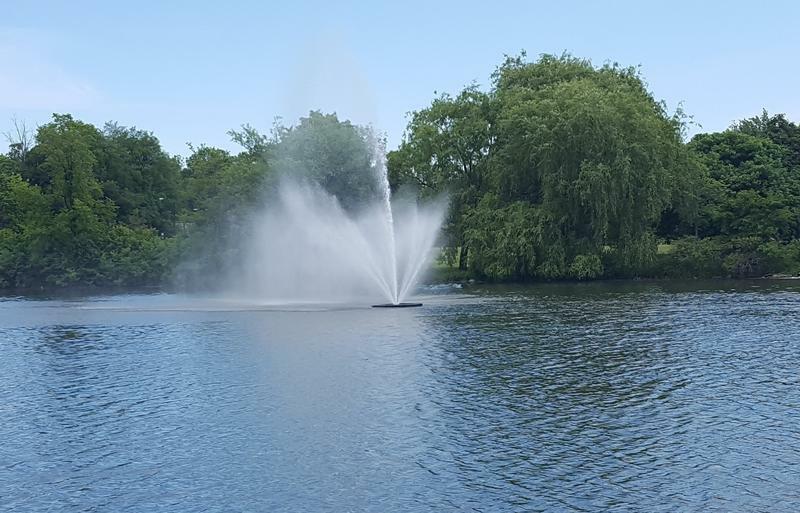 The Buffalo Olmsted Parks Conservancy has reinstalled the Hoyt Lake Fountain. An estimated 1,000 people turned out to Delaware Park Saturday to advocate for scientific organizations and science-based policies. It was one of hundreds of marches across the globe. 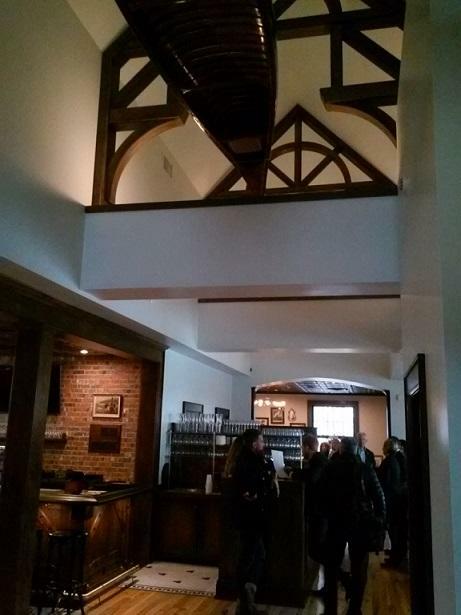 A new privately-run restaurant and bar is open for business inside the Marcy Casino in Buffalo's Delaware Park. 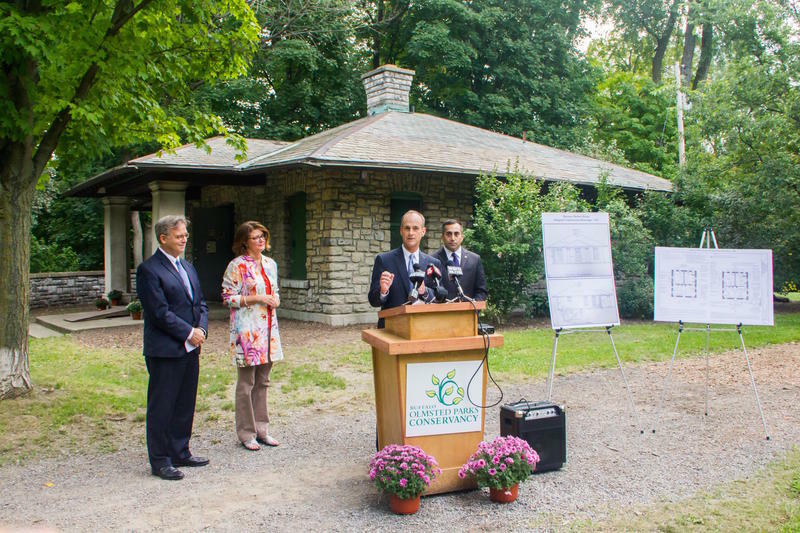 The restaurant's partners, along with the mayor and leader of the Olmsted park system's administration gathered to celebrate the public-private partnership. 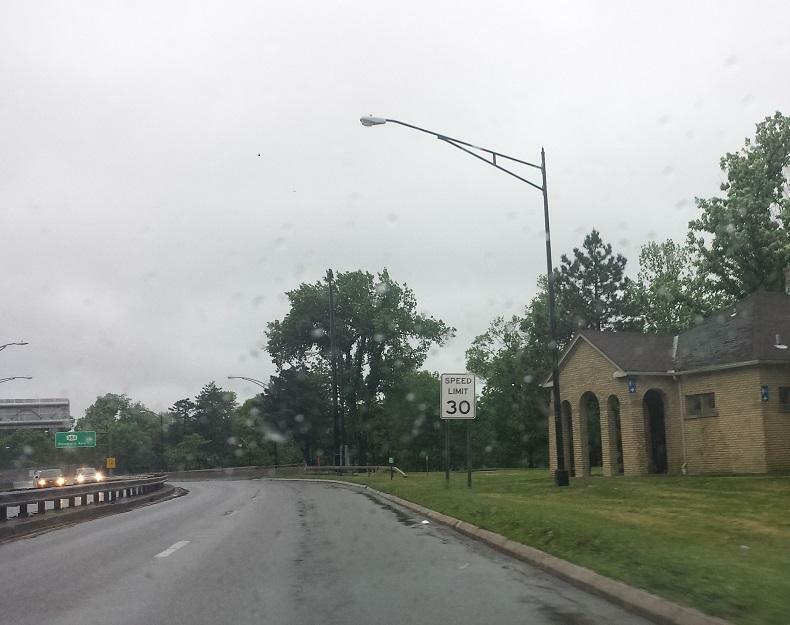 The State Department of Transportation wants to start awarding construction contracts late this year to turn the Scajaquada Expressway into Scajaquada Boulevard. However, a packed house Wednesday night suggested the plan still is not right, after 15 years of studies and a toddler's death. 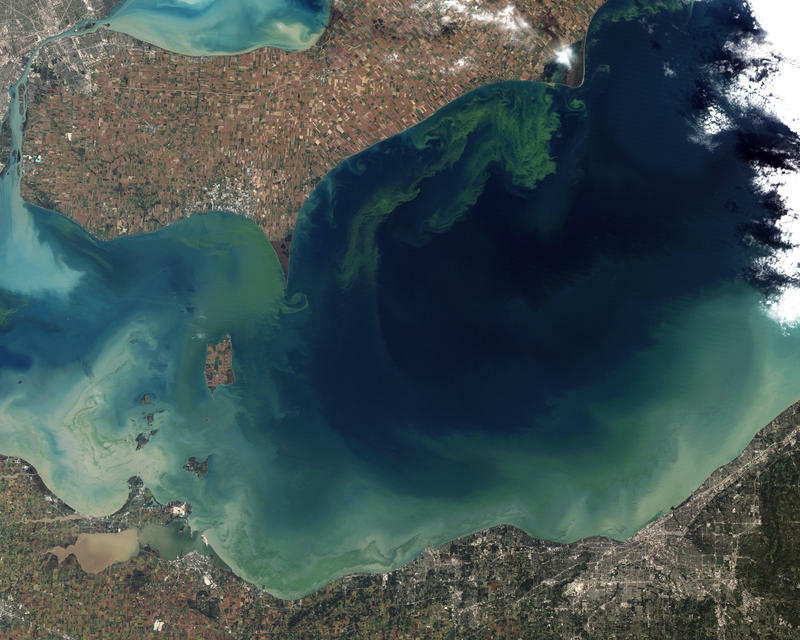 The New York State Department of Environmental Conservation has notified local officials confirming the presence of a harmful algae bloom in Hoyt Lake at Delaware Park. 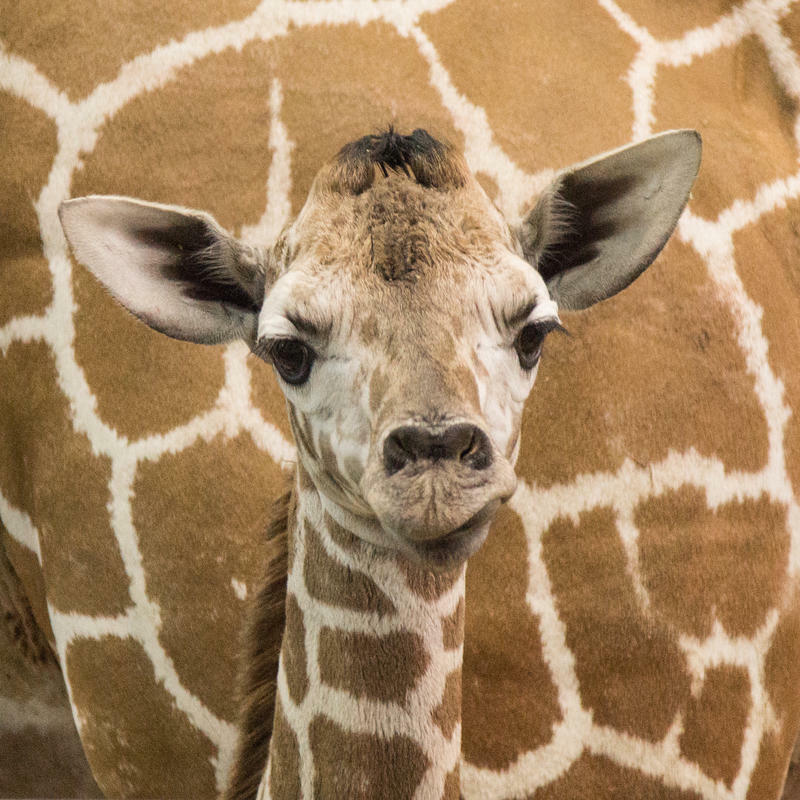 On a perfect weather day, the Buffalo Zoo reported Monday it has been given another five-year accreditation by the prestigious Association of Zoos and Aquariums. Civic activist Kevin Gaughan on Wednesday formally presented his proposal to return Delaware Park and South Park to Frederick Law Olmsted's original vision. Gaughan says he and Buffalo Olmsted Parks Conservancy had a very constructive meeting and he is planning several public meetings beginning in September to gather input on the proposal. 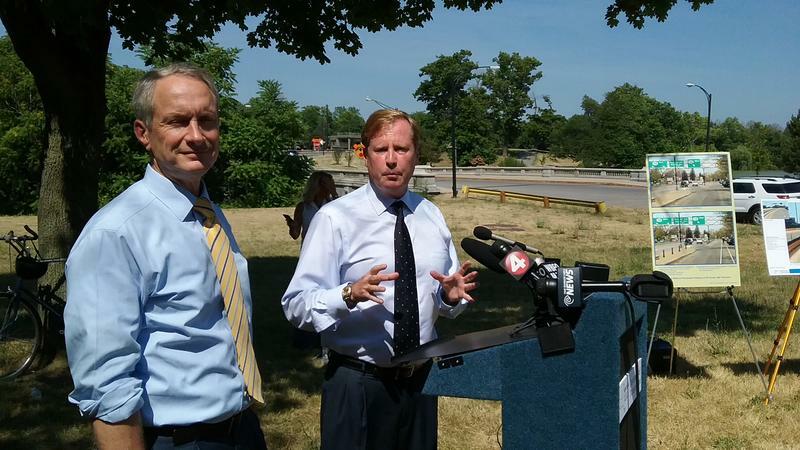 Planning is moving forward to turn the Scajaquada Expressway into an urban boulevard. 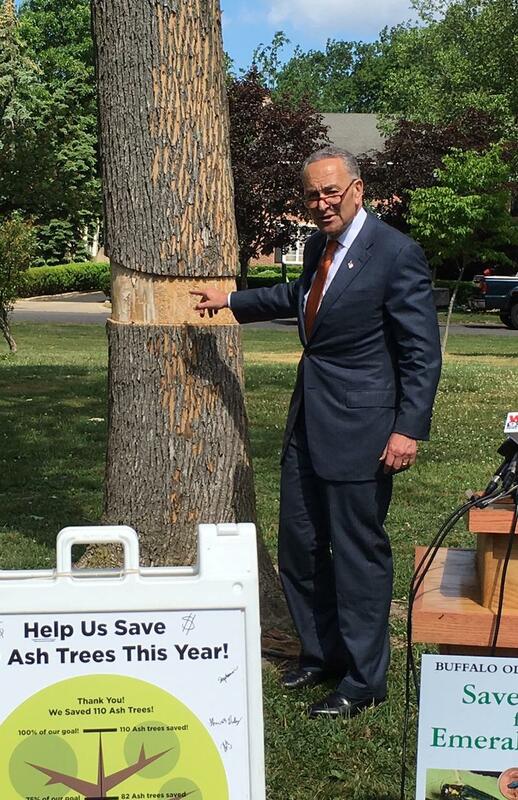 In Buffalo's Delaware Park on Monday, Sen. Charles Schumer called on his colleagues on Capitol Hill to fund the battle against the emerald ash borer. 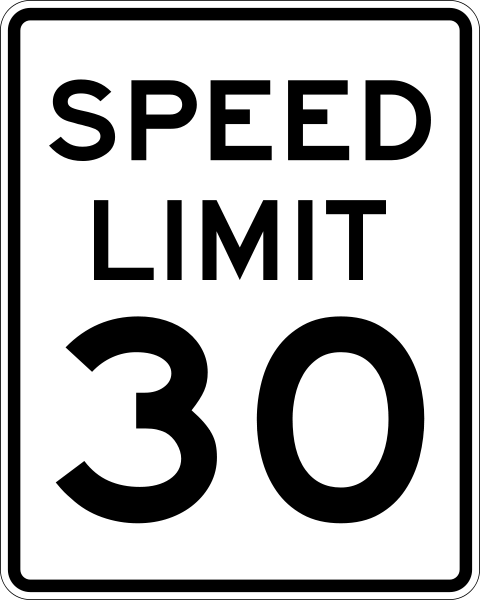 If you're among the motorists who have been thumbing their noses at the 30 mph speed limit on the Scajaquada Expressway, Buffalo's top law enforcer says there will soon be a greater chance that you'll be slapped with a speeding ticket. 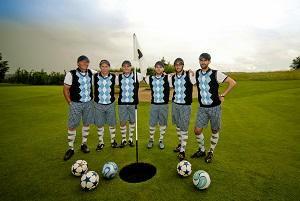 When organizers debuted Delaware Park’s FootGolf course this spring, they had small expectations for its popularity. With fall underway, those expectations have been long over shot and patrons are still coming out to play. 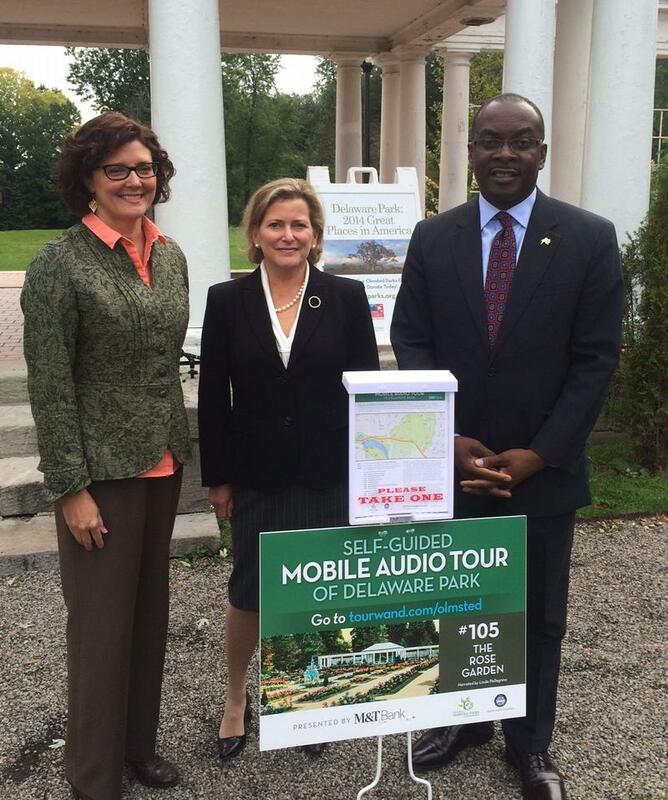 Delaware Park visitors can now take a self-guided audio tour of Frederick Law Olmsted's award-winning masterpiece. The driver of the vehicle that struck and killed a 3-year-old boy in Delaware Park this spring will not be prosecuted for a crime, according to Erie County District Attorney Frank Sedita. City officials hope to have final plans together for redesigning the intersection of Parkside and Florence by the end of next month, with a contractor to be selected by the end of October. 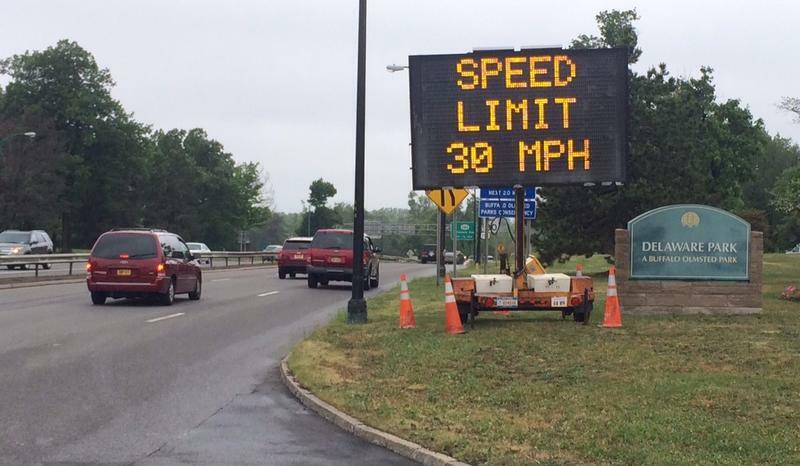 Motorists could see another change in the speed limit on Buffalo's Scajaquada Expressway. 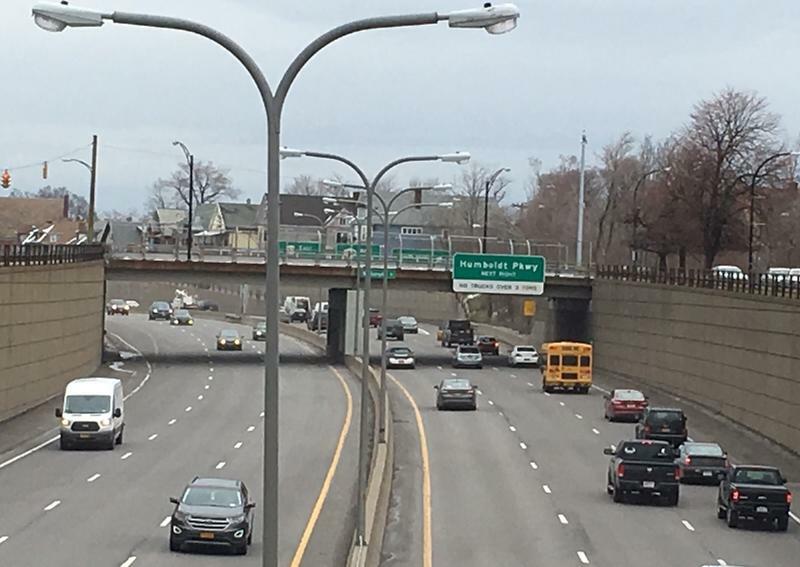 With the future of the Scajaquada Expressway studied for years, State Senator Mark Panepinto says it's time for the State Department of Transportation to make a decision. Hundreds of area residents turned out Tuesday night in Delaware Park in Buffalo to mourn the loss of Maksym Sugorovsky, the three-year-old killed when he was struck by a car that left the Scajaquada Expressway and ran onto the park's ring road. Community members will hold a vigil tonight for the young boy struck and killed in Delaware Park by a motorist on Saturday. Organizers are also calling for more safety improvements in and around the park. The name of the driver involved in a fatal crash in Delaware Park that killed a 3-year-old boy on Saturday still has not been released.